This year the Casselman Plums, simply some of the best tasting for preserves, are once again in short supply due to our unpredictable weather here in California! But we have made some small batches for those of you who wait all year for our Plum Preserves. These varieties have bright red skin and with deep amber flesh, and the plums turn almost scarlet the longer they hang on the tree. 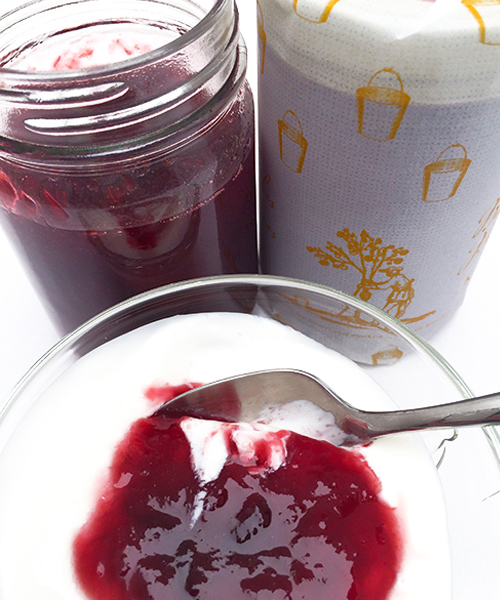 The finished KATZ Plum Preserves are crimson colored with a deep, rich, sweetly tart flavor. SERVING SUGGESTIONS: Our Plum Preserves are great served with pork roast, turkey or duck, - try our recipe for Seared Duck Breast With Casselman Plum Gastrique - or of course perfect spread on warm toast or fresh muffins.